As the UK emerges from a long and harsh winter, something else is starting to emerge too: woodworm beetles! Twistfix are ready to help combat the problem with our range of professional woodworm treatment products. professional builders should be ready to deal with the inevitable upcoming contracts by having plenty of woodworm treatment in stock; if you are a property owner, then use our Find-A-Contractor service to make sure that your property is treated using Twistfix products. 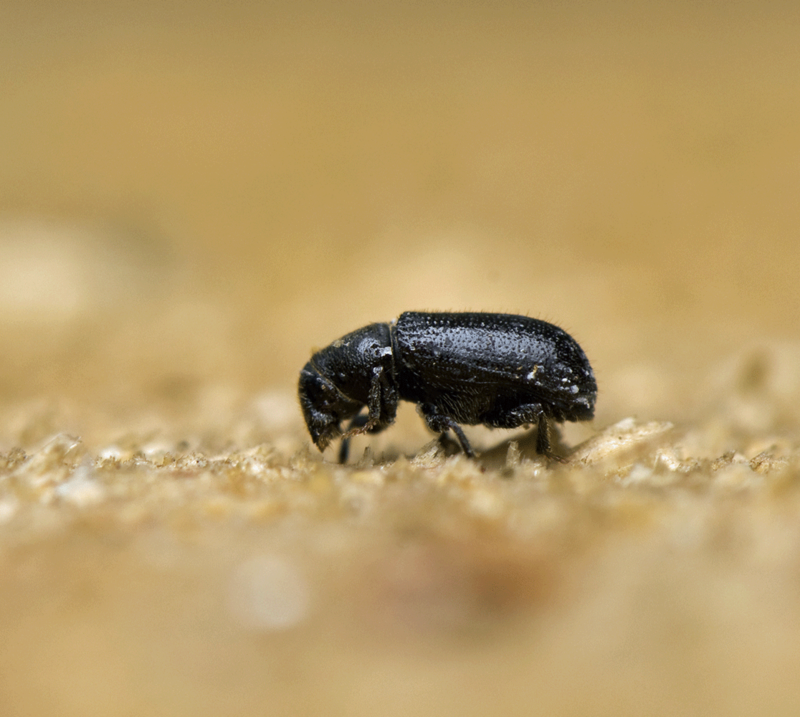 There are several types of insects that live and breed within timber (the most common being the aptly-named common furniture beetle), these insects and their worm-like larvae are collectively referred to simply as woodworm. Furniture is not the only type of timber at risk and the insects readily infest rafters, floorboards and skirting boards too. Holes in timber. Wood-boring insect larvae burrow deep inside timber and can remain therein for up to three years, munching their way through the internal timber structure. They then pupate, emerging as adult beetles during the breeding season (April/­September). The adult beetle then exits the timber to start the breeding cycle once more, leaving behind a small hole as it does so. Frass. This is a fine powder resembling sawdust and is created when the adult beetle eats its way out of infested timber. The presence of this powder close to exit holes shows that a wood-boring infestation is active. Weak, damaged timber. During its extended stay within timber, the larvae are continually eating through the wood. The tunnels it leaves in its wake weaken timber, often causing it to become brittle and its surface to flake away when touched. Visual confirmation. It is possible that you will see live beetles as they emerge from the timber though it is more common to find dead beetles in the infested area. Our collection of woodworm treatments is centered on a micro-emulsion insecticide, which is supplied as a concentrate. It quickly, safely and efficiently eradicates infestations of all wood-boring insects and also includes a wood preserver to help prevent re-infestation. As with any insecticide, it is important to use proper safety equipment and wear protective clothing during application. The product is registered for use only by professional builders and, due to health and safety restrictions, can only be supplied to locations on UK mainland.